The Air Jordan 1 High “UNC” Is only a month away, and it’s time to start getting ready for the release. If you’ve been looking for on-feet photos of the sneaker, we’ve got you covered. 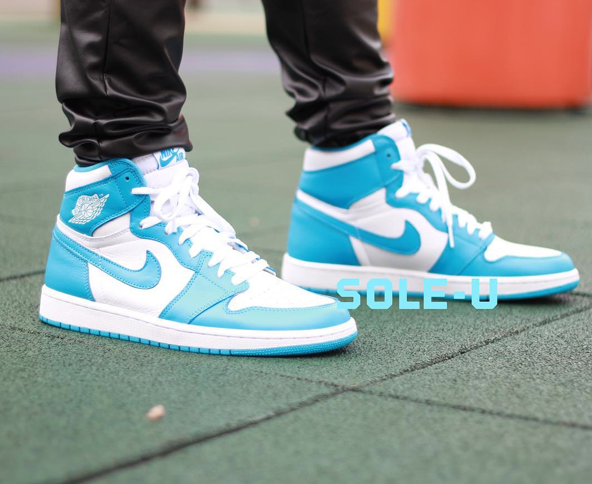 The Air Jordan 1 High “UNC” is inspired by the UNC Tar Heels which is Michael Jordan’s collegiate alma mater. The sneaker boasts nothing but UNC vibes sporting a Carolina Blue and White leather make up. The simple design is sure to be a instant classic. Releasing October 31st, let us know if you’re planning on copping a pair below.